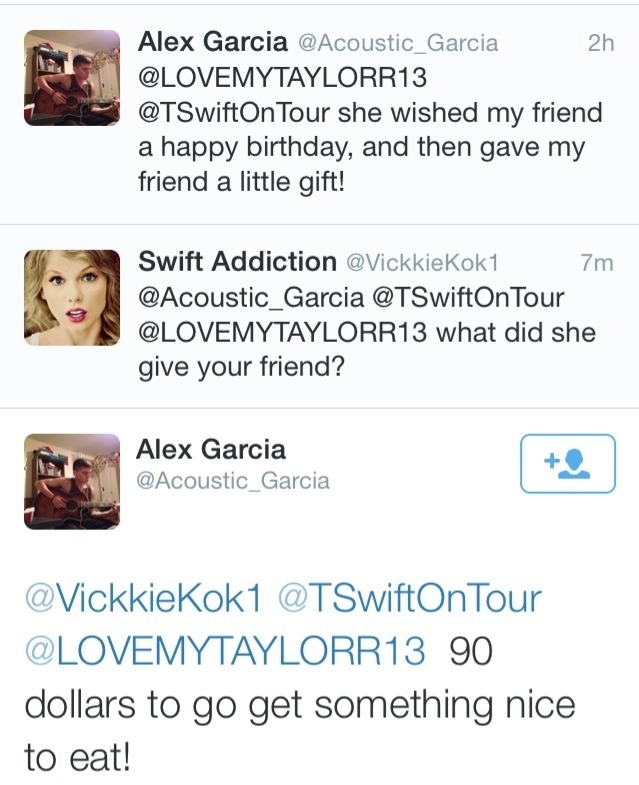 As if Taylor Swift could get any more awesome/generous/all-around amazing, the singer reportedly surprised a fan with $90 on her birthday. Say whaaat?! 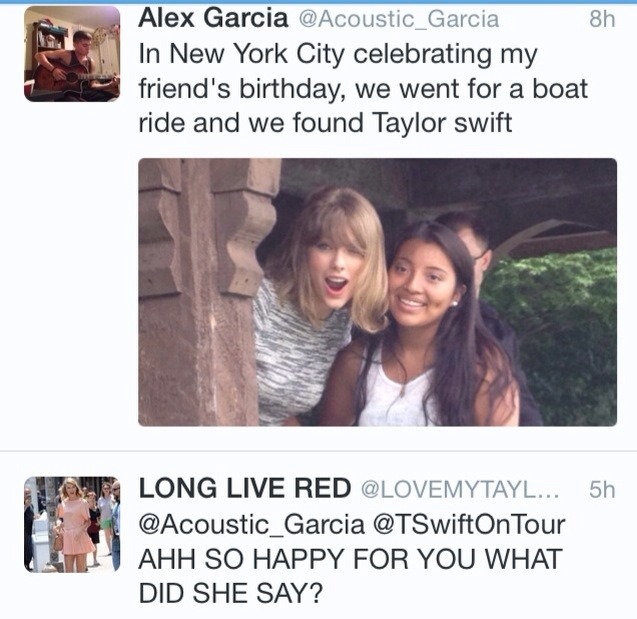 According to screenshots on fan site TSwiftDaily, the singer was in Central Park in NYC yesterday (June 24) when she greeted one fan, who informed T. Swift that it was her birthday. 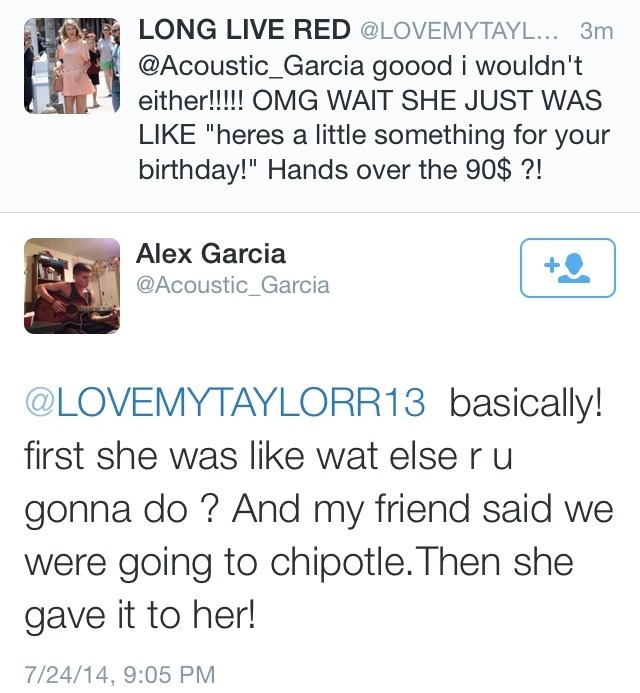 According to the Swiftie's friend, Taylor wished the girl a happy birthday (see a picture of them meeting here) and then gave the girl "a little gift" -- $90 to "go get something nice to eat," according to this report! "First [Taylor] was like, '[What] else are you gonna do?'" the fan's friend recalled. "And my friend said we were going to Chipotle. Then she gave it to her!" Whoa! Taylor Swift is known for going above and beyond for her fans, but this is definitely up there in one of the nicest things she's done. (Plus, how cool would it be to have $90 just to casually give away to a supporter?) We love it.